Online retail goliath Amazon has announced that it’s buying mesh Wi-Fi router company Eero for an undisclosed amount of money. “From the beginning, Eero’s mission has been to make the technology in homes just work,” said Nick Weaver, Co-Founder and CEO of Eero in a press release. This could be why the online retail giant, which been aggressively branching out into smart home and ambient computing technology over the past few years, has decided to buy the Wi-Fi router company. There’s some speculation that it’s possible Amazon could have purchased Eero with the goal of improving the setup process required to make its Alexa devices operate. I’d also propose that Amazon could want to integrate Eero’s mesh Wi-Fi technology into its Echo devices, or vice versa. This isn’t the first big smart home purchase that Amazon has made in recent years. In February of last year, the tech giant bought smart doorbell company Ring for $1 billion USD to help expand its smart home offerings. There’s no way of knowing exactly what Amazon’s plans are for Eero until the company shares them. 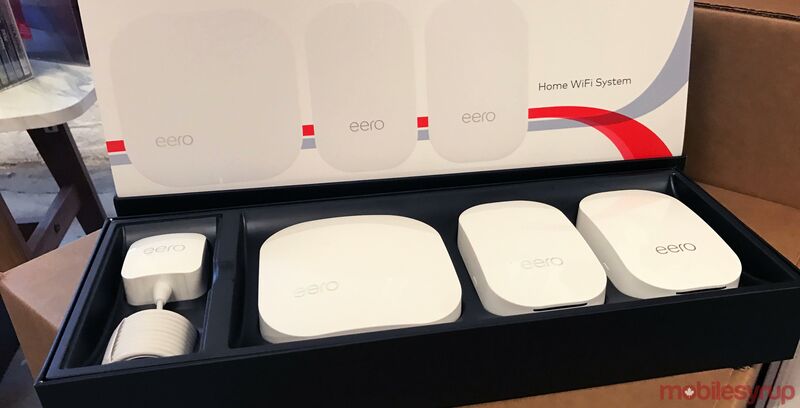 You can learn more about Eero’s various products here.